make 50 or more programmes.ISO and CE aprroved. 1. Body and drum are of high grade stainless steel. 2. Tight and stable structure with minimum shake. 3. Computer controller with self diagnostic system. 4. Blue LCD widescreen display for intelligentized operation. 5. Frequency controlled motor for perfect control of the drum. 6. Anti-vibration with excellent shock absobers and big spring. 7. 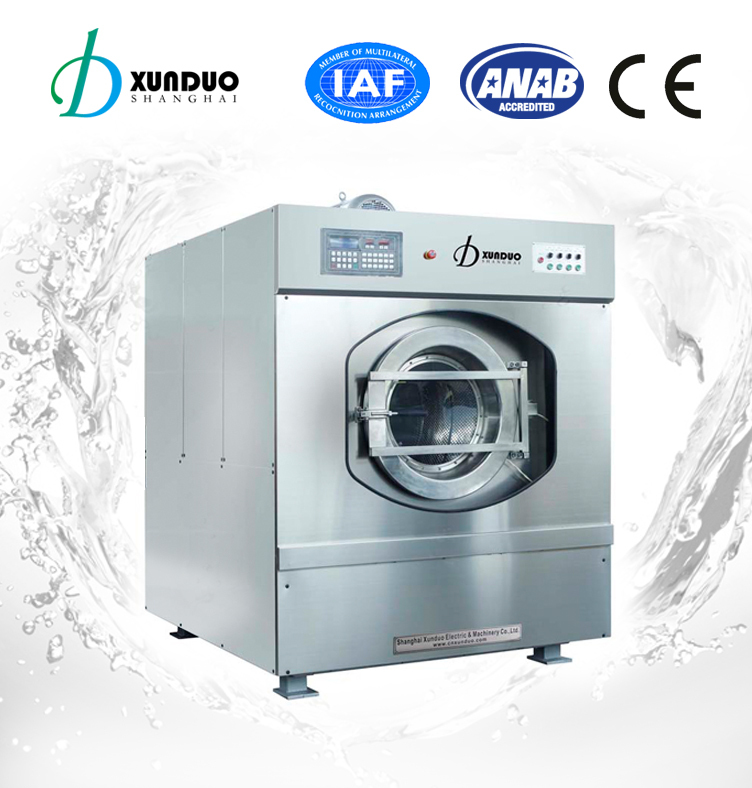 Wide range selection of programmes washing cycle, almost 25 programmes. 8. The sealed industrial bearing for a long lifespan and less wear. 9. Large Drain Valves ensure a very fast draining and a shorter cycle. 10. Large door with long handle, safe and easy operation. 11. 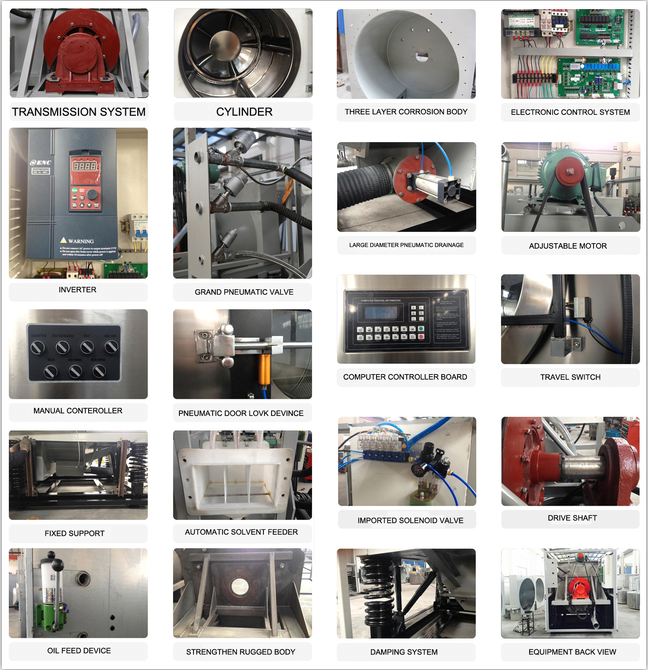 Automatic oil feeding systems for transmission bearing systems. 12. The aerodynamic design of soap inject system. 13. Energy and water saving systems. 15. Water: Hot or cool water.